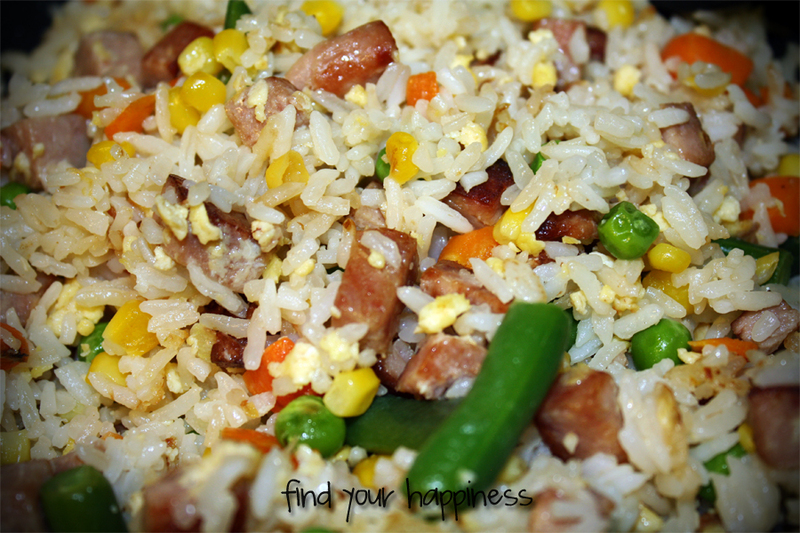 My grandmother often used leftover rice we had for dinner by cooking fried rice for breakfast the next day. Growing up, it was one of my favorite breakfast dishes but since it is usually just me and the little one for breakfast, I tweaked this recipe so it could be more substantial, nutritious, and fit for dinner that the whole family can enjoy. Sautee onions and Spam in vegetable oil. When onions are soft and translucent, add garlic and cook for a couple minutes. In a separate bowl, whisk eggs and milk together. Pour mixture into the wok/pot and stir constinously until eggs are cooked. Add rice, vegetables, fish sauce, and soy sauce. Continue to cook until rice and vegetables are hot.